UK Stampin' Up! 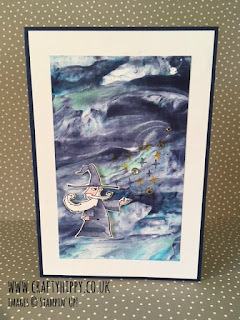 Demonstrator | make beautiful cards | Crafty Hippy: Make this Wizard card: Cast some magic with the Magical Day stamp set from Stampin' Up! 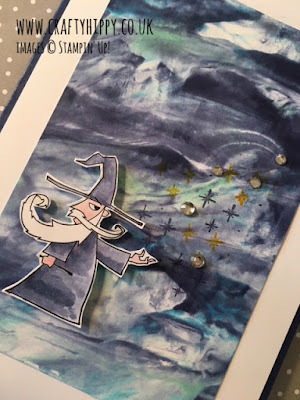 Make this Wizard card: Cast some magic with the Magical Day stamp set from Stampin' Up! Who do you think of when you think of Wizards? Merlin, from the Arthurian legends? Ellminster Aumar? 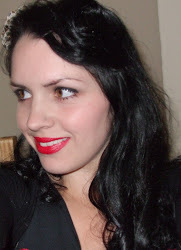 The Crimson King? Whoever your favourite Wizard is, there's no doubt that this little fellow is full of magic. You can find him and his mystical friends - a unicorn, a knight, a dragon and a mermaid - in the Magical Day stamp set which is new to Stampin' Up! As well as the characters mentioned above, there are also two fabulous sentiments in the Magical Day stamp set, which is also available in Wood Mount. There are also two Bundles - save 10% when you buy the Magical Day stamp set with the co-ordinating Dies; take a look at the Myths & Magic Product Suite for more information. As I haven't got my hands on the wonderful new Brusho Crystal Colour yet, I decided to make a magical background for my card using the Shaving Foam Technique. Credit for this card goes to Alisa Tilsner one of our Australian Demonstrators - thanks for the inspiration Alisa! 2. Drop your colour onto the largest Clear Block F. Take a small amount of Shaving Foam and mix the colour around on the block. 3. Stamp using Clear Block F. Swish the colour around and scrape off the Shaving Foam. Repeat if you have any gaps on your card front that you're not happy with. 4. 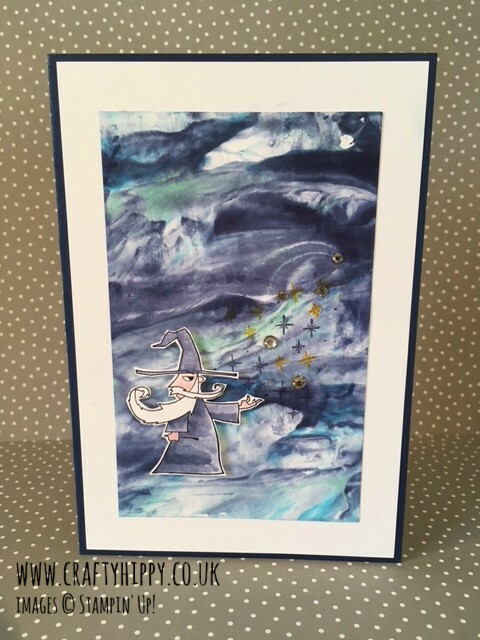 Stamp the wizard in Memento Black Ink on a seperate piece of Whisper White Cardstock. Use an Aqua Painter to colour using the Night of Navy Classic Stampin' Pad and Pink Pirouette Classic Stampin' Pad. 5. Stamp some stars using our Crushed Curry Classic Stampin' Pad. 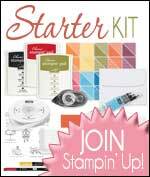 Assemble the project using some Night of Navy Cardstock, SNAIL Adhesive and Stampin' Dimensionals. If you have any questions about this project or the products I've used please don't hesitate to get in touch using the email address above.